Hello internet! 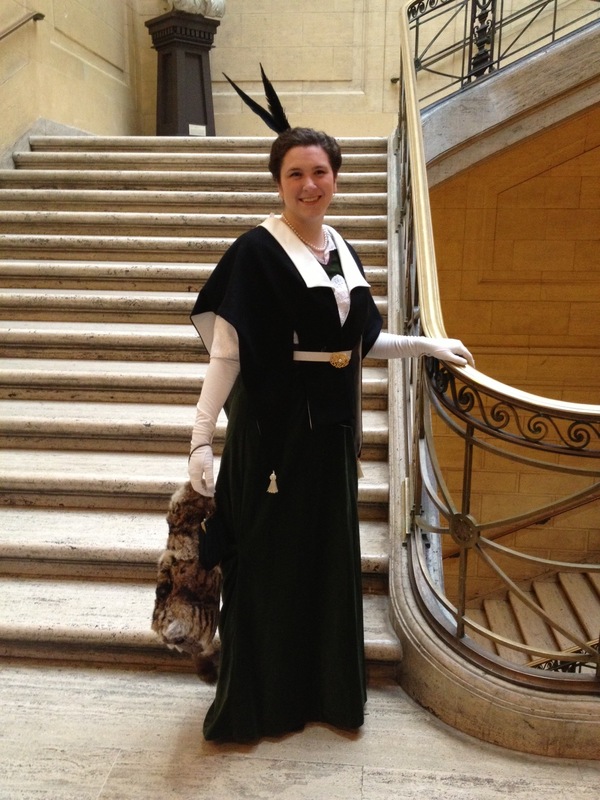 I am a Philadelphia based historical costumer with a panache for loud and crazy fabrics. Plaid? Love it! Orange? Bring it on! Absurd paisley? You’re speaking my language! I live with my husband Robert in a 1930s-work-in-progress on the outskirts of Philadelphia with our adorable chinchilla, fluffy golden-mutt and a small army of dust bunnies (house keeping is sadly not my strength). I got into historical costuming in high school when I discovered the Renaissance Faire and got a degree in Drama with a focus in costume technology from Ithaca College. I worked for various theaters before developing severe tendonitis in my wrists and elbows. So now I sew only for fun and work as a pediatric nurse. Do you have a modern pattern for the civil war shawl or did you just use the Godey’s one? It’s VERY easy to knit. You basically just increase at the beginning of every row, and twice at the CB until it’s the size you want.